Want to be notified of new releases in kevinferrare/meiji-choko-solver? 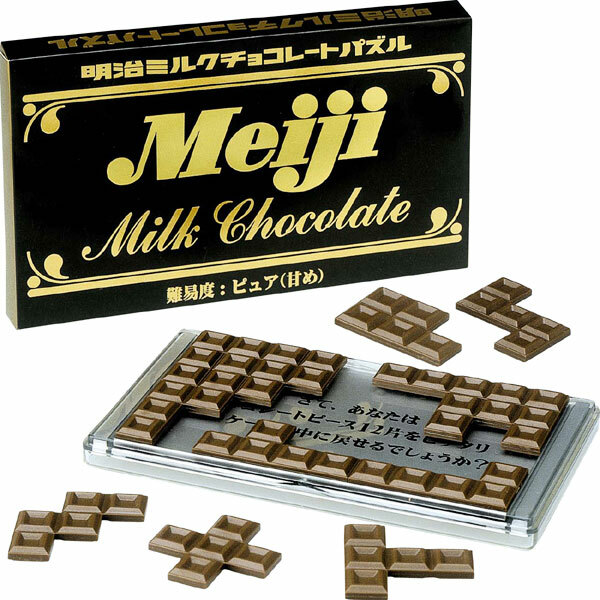 This is a Java / Swing program that can solve the "[chocolate puzzles](http://www.strapya-world.com/products/22376.html Meiji)" and other Polyominos (tetris-like shape) based puzzles. Use the Launch button below to run the program using java web start. You need to have java properly installed and configured for the program to work. Alternatively, you can download the program and launch it. To quote wikipedia : "A polyomino is a plane geometric figure formed by joining one or more equal squares edge to edge." The puzzle is solved when all the shapes are placed inside the required area. This is a form of tessellation. I wrote this some years ago after spending a few hours trying to solve one of the puzzles (the black version) by hand without success. The program can currently solve the 3 original meiji puzzles and some variants I made. 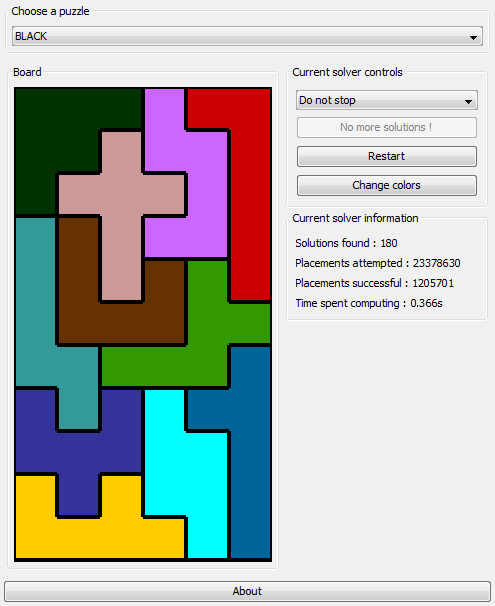 The algorithm should be able to solve any polyomino based puzzle. The program can be run by simply using the launch link on the top, or by launching the downloaded jar file. If you launch it from the command line you can specify additional options. The project can be compiled using maven.